Welcome To The Tridel Casitas. 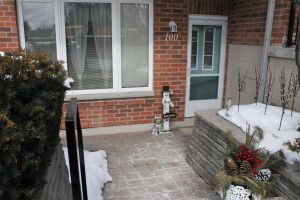 Spacious 2Bdrm, 2Bath Bungalow In The Heart Of Pickering. 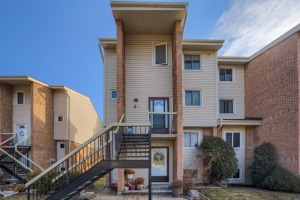 Enjoy The Lifestyle Of Quiet Living & Great Accessibility To Shopping, Recreation Complex, Library And Go Transit. Well Maintained 24Hr Gatehouse Security, Plenty Of Storage And New Laminate Throughout. East Facing Unit Provides Picturesque Views And Patio With Bbq Hook-Up For Easy Entertaining. Beautiful, Fresh And Charming Condo!! Existing Fridge, Stove, B/I Dishwasher, B/I Microwave, Stackable Washer/Dryer, Central Vac. All Electrical Light Fixtures, California Shutters, Owned Storage Locker, Underground Parking, 24 Hour Gatehouse Security.